Buying Gold Maple Leaf Coins in 1/2 oz gold coin sizes is a great way to own smaller fractional gold coins which are both easy to trade and guaranteed by the Canadian government. - Guaranteed to have 1/2 troy ounce of 9999 fine gold. - Legal tender in Canada with a $20 CAD face value. - Private gold investment which can be held completely outside of the world financial system. - Also eligible for a Gold IRA or Gold RSP gold investment. Half ounce Canadian Gold Maple Leaf Coin prices are based on the world’s fluctuating spot gold price. When physical gold supplies cannot properly meet bullion investor demand, the premiums or prices per 1/2 ounce Gold Maple Leaf Coin can dramatically rise over the gold spot price (e.g. fall of 2008 gold coin shortage). These official Canadian 24k fractional gold coins also have low legal tender face values (compared to their precious metal market price). This helps assure these fine .9999 gold coins will not actively compete with Canada’s current fiat currency, the Canadian dollar. In terms of overall sales volumes, Canadian Gold Maple Leaf coins are some of the most popular half ounce 24k gold coins currently minted by a government. These official 1/2 oz Canadian Gold Coins also demand some of the gold bullion industry’s highest gold buying prices (the price gold dealers are bidding or buying these 1/2 oz gold coins back at from investors). In general, gold dealers like Kitco Metals pay a price above the fluctuating gold spot price when buying 1/2 oz Canadian Gold Maple Leaf coins back from individual investors. Canadian Maple Leaf 1/2 oz gold coins demand some of the highest gold selling prices amongst other competing fractional government gold coins (e.g. fractional South African Gold Krugerrand coins). In summation, a half oz Canadian Gold Maple Leaf coin’s price will usually be both slightly higher when (1) buying Gold Maple Leaf Coins and (2) selling Gold Maple Leaf Coins when compared to other less popular fractional gold coins or gold bullion bars. The 1/2 oz Canadian Gold Maple Leaf Coin’s front features the familiar right-profile portrait of Queen ELIZABETH II. Her Majesty’s effigy is accompanied by explicit engravings of her name, the year of coin mintage, and the $20 CAD legal tender face value of this .9999 fine 1/2 oz gold coin. The backside of a 1/2 oz Gold Canadian Maple Leaf Coin features the iconic Canadian Maple Leaf as well as an explicit stamping of ‘9999 FINE GOLD 1/2 OZ OR PUR 9999’ (written in English and French respectively). The micro-engraved radial lines that have replaced the traditional bullion finish on the 1/2 oz Gold Maple Leaf has been so precisely printed, to within microns. This new radial finish engraving ensures consistency in die production and coin striking, and is a security technique unmatched to the Royal Canadian Mint. The specific width and depth of the lines burst out of the coin’s central images (the Maple Leaf design on the reverse, and Queen Elizabeth II on the obverse) and form a distinctive light-diffracting pattern. Safe shipment of fractional 1/2 oz gold bullion coins and gold bullion bars in the mail is more common than you might think. The majority of our customers take fully insured, physical gold delivery to their door or preferred mailing addresses. You can store your 1/2 oz Gold Canadian Maple Leaf Coin safely and securely with Kitco Allocated Storage. Kitco offers global options for gold bullion storage that are fully segregated, insured and allocated. Kitco's network of top-tier gold vaults include some of the most secure gold coin storage facilities located in Canada, Hong Kong or the United States (COMEX approved). Cayman Islands gold bullion storage is also available (certain conditions apply). The Royal Canadian Mint (RCM) is a Canadian crown corporation that mints all of Canada's circulation coins. Since it released Canada's first domestically produced coin in 1908, the Royal Canadian Mint has acquired a global reputation for minting excellence. Today, the Mint's superior technical capabilities allow it to set new benchmarks in fractional gold coin designs and quality and make it the producer of choice for many countries' official coinage. Why buy 1/2 oz Gold Maple Leaf Coins from Kitco? Kitco is an authorized bullion purchaser direct from the Royal Canadian Mint, this gives us a gold price advantage over other gold dealers and gold coin shops. We are a trusted leader in the gold bullion coin and physical precious metals industry. 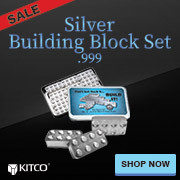 Gold other precious metals sold by Kitco are recognized in gold bullion markets around the world. With our focus on gold coins and gold bullion, you can benefit from our low gold prices and premiums that are highly competitive in the gold bullion coin industry. At Kitco, we make it easy for you to manage your tangible wealth. You can sell or buy gold and other precious metals using our convenient online store, or by contacting our team of highly trained precious metals specialists. Backed by our global information network, Kitco has been proudly serving our customers since 1977. The 1/2 oz Gold Maple Leaf Coin(s) you receive may not be in mint condition. The Canadian 1/2 oz Gold Maple Leaf Coin(s) you receive may be from a different year's mintage and the appearance of the 1/2 oz Gold Maple Leaf Coin or 1/2 oz Gold Maple Leaf Coins you receive may be slightly different from the 1/2 oz Gold Maple Leaf Coins illustrated here.